We operate with honesty, integrity and respect. We believe in earning a fair and reasonable profit. We share time, service and resources within each community we serve. We provide training and development to ensure the growth and success of our company. We offer service driven response to our customers by exceeding expectations. We embrace the importance of employee ownership (ESOP) and accountability. Quality provided—Setting the standard by which all others are measured. We encourage a fun and innovative workplace that recognize and reward our customers and employees. We empower our employees to make decisions that continue improvement critical to our growth. We believe in Christian values guiding our decisions. 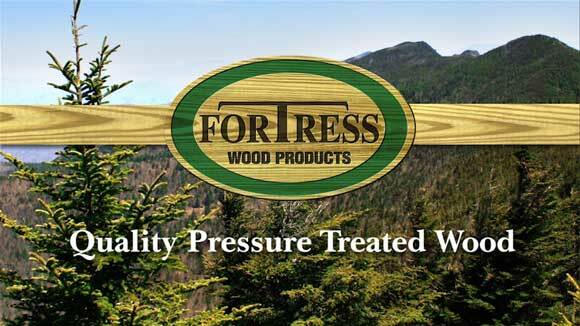 Fortress Wood Products® is a leader in building customer loyalty and successes by combining teamwork, exceptional service, innovation, and professionalism balanced with quality, trust and integrity. With production facilities in High Point, Henderson, and Elizabeth City, NC, Fortress Wood can provide timely and consistent shipping and delivery for all of your treated wood product needs. All applicants are referred to position location and/or North Carolina Employment Commission to complete an application.